Get in the spirit of the holiday cheer with this these fun and colorful mini candy canes. They can be customized with a full color label of your company name and logo to increase brand recognition during the season. 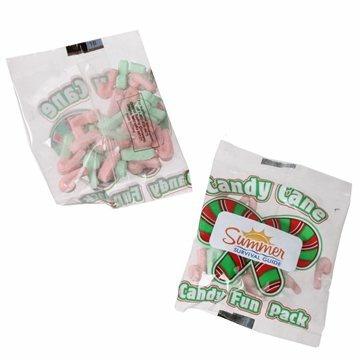 Includes an assortment of red and green christmas themed candy canes!